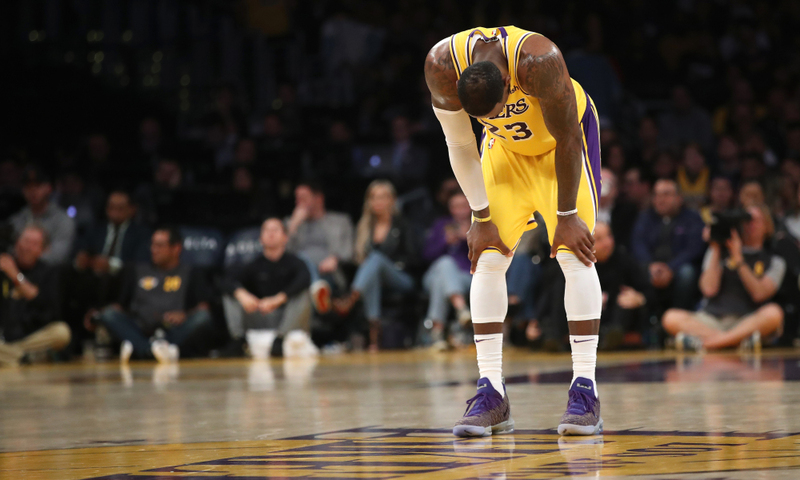 The Los Angeles Lakers’ 2019 season ended much earlier than many sports analysts predicted. It will go down as the franchise’s most disappointing season since the team moved from Minneapolis. The team’s management is walking on eggshells, and the acquisition of superstar LeBron James looks like a huge mistake. The NBA’s Western Conference is extremely talented, but Lakers fans would only see this as an excuse for their team’s underwhelming performances. After the last game of the season, the Lakers will fire head coach Luke Walton, but the lack of a talented roster falls on Magic Johnson’s shoulders. Johnson was a Lakers star many decades ago, and he is now the team’s president of basketball operations. Last offseason, the Lakers put together a “meme team” roster. It consisted of veteran players that cannot shoot the basketball very well. They represent a myriad of distinct personalities that are not suited to play together. LeBron James is supposed to be the leader of the team but, unfortunately for him, Rajon Rondo has taken on this role. Young talent in the form of Kyle Kuzma, Lonzo Ball and Brandon Ingram are still impressive, but too inexperienced. James was supposed to carry the team to the playoffs, but this is officially impossible. The Lakers signed James to a max contract with the goal of winning NBA titles. Rapidly, this dream disappeared. James was out for six weeks with a groin injury, but even while playing, he was rather ineffective. He refused to play defense and habitually blamed his teammates for his own mistakes. The Lakers need to regroup, and they have two options that can solve the issue. The first solution would be to trade away LeBron James for a talented, improving superstar in his mid-20s. James is 34 and his downfall is a result of natural aging. The second option is to sign a top-10 talent in the league to a max contract so the team will have a second elite player. Preferably, the Lakers will choose the first option. Therefore, they could gather together the young talent needed to win in the future. The roster is not deep enough to win a championship right now. With one game left to play, Los Angeles has amassed a 37-44 record, good for 10th in the conference. They have been officially eliminated fro the playoffs, meaning James will miss the NBA playoffs for the first time since 2005. Despite the disappointments, Ingram’s development has been a huge positive. The 21-year-old small forward averaged 18.3 points per game on 49.7 percent shooting, and will be a major piece in a potential rebuild. I still like LeBron James.